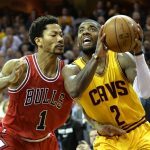 Home»Articles»Cleveland Cavaliers Contenders Once More? Cleveland Cavaliers Contenders Once More? The Cleveland Cavaliers have a new look. The organization had a busy trade deadline in which it made several moves that wholly reshaped the face of the team. And necessary this was amid a team rife with strife: calling each other out in team meetings, questioning loyalty, flailing trust in the locker room and overall bad basketball. Change was indubitably necessary, and management knew that to make the squad competitive against the Warriors, they had to adapt in a big way. 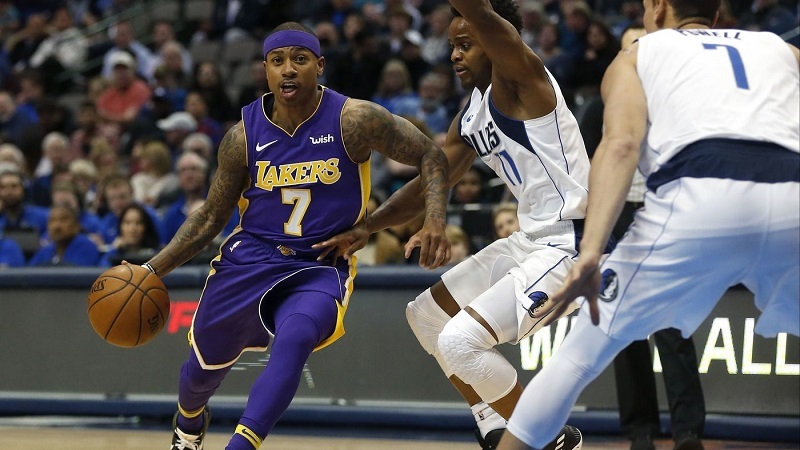 Los Angeles Lakers receive Isaiah Thomas, Channing Frye, and Cleveland Cavaliers 2018 first round draft pick; Cleveland Cavaliers receive Jordan Clarkson and Larry Nance Jr. The Isaiah Thomas experiment in Cleveland failed. After the Cleveland Cavaliers and Boston Celtics seemingly swapped all-star point guards to appease Kyrie Irving’s trade request, Thomas has not been the same since returning from his hip injury. Thomas was the third highest scorer in the league last year and was in talks for league MVP. He now finds himself on his third team in two seasons—and his fifth team since being drafted in 2011. The main caveat to this deal for the Lakers lies in the draft pick. They originally did not have a first-round draft pick this year due to previous trades. So receiving that pick was a top priority, no matter where in the first round it fell. Both Thomas and Frye are unrestricted free agents after this season. This opens up two max contract slots the Lakers can offer in both the 2018 and 2019 offseason. For his part, Clarkson is a dynamic, natural scorer who played better coming off the bench in Los Angeles. In his four years with the team, he averaged 14.3 points on 44% shooting. Nance Jr. became a fan favorite almost instantly with his high spirit and ferocious dunking ability. Although he only averaged 6.9 points in his three seasons with the Lakers, his impact stretched far beyond the stat sheet. Frye finds himself on his sixth team at this stage of his 14-year career. He is no longer in the limelight and only averaged 7.5 points in his three seasons with the Cleveland Cavaliers. But, he will serve as a bright mentor for a youthful Lakers team that is still in the midst of a rebuild. With three players in the Rising Stars Challenge—Lonzo Ball, who has since been replaced by Sacramento Kings’ guard De’aaron Fox due to injury; Brandon Ingram; and Kyle Kuzma—there is a lot to be learned from a veteran such as Frye. 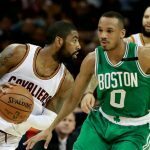 Cleveland Cavaliers receive Rodney Hood (Utah) and George Hill (Sacramento); Kings receive Joe Johnson (Utah), Iman Shumpert (Cleveland), second round 2020 draft pick via Miami (Cleveland) and the draft rights to Dimitrios Agravanis (Cleveland); Jazz receive Jae Crowder (Cleveland), Derrick Rose (Cleveland) and the right to swap 2024 second round draft picks with Cleveland. The Cleveland Cavaliers knew they had to make drastic changes. They blew up their entire perimeter and received in return a floor general with playoff experience from a non-playoff contender, and a frustrated player who was one of the best on his previous team in all facets. Hood finds himself on only his second team in four seasons. He averaged 13.1 points with the Jazz and was a staple on both the offensive and defensive end. Additionally, Hood had great numbers in last year’s playoffs when the Jazz upset the Clippers in game seven of their series. Hood will see a minutes reduction as a reserve with the Cleveland Cavaliers, which will force him to make an impact in different ways. Hill is onto his third team in the past two seasons—and his fifth in his ten-year career. His production has steadily decreased since his breakout 2016-17 campaign. From 16.9 points per game with the Jazz to 10.3 in his most recent stint with the Kings. A playoff tested point guard: Hill knows how to run the floor and find the open man. That’s something LeBron James and co. desperately needed. The Jazz have released former league MVP Rose, and he has cleared waivers. The Minnesota Timberwolves remain the top contender for his services. Cleveland Cavaliers receive 2020 second round draft pick; Miami Heat receives Dwyane Wade. At this point, the Cleveland Cavaliers had revamped their entire perimeter with a younger, more athletic core. There was no real need for Wade in their evolving system. Therefore, it makes sense that he would finish his career where it started—in Miami. The Cleveland Cavaliers basically gave Wade away, as they immediately sweetened the three-team deal with the Kings and Jazz by trading their new pick to Sacramento. Miami gets an aging player who still manages to show glimpses of what he brought in the past. He’s a spotty shooter, an incredible athlete, playmaker, and veteran who is going to inspire and teach the younger Heat core. It is nice to see Wade and Pat Riley come back to terms. Wade now knows his spot on the organization, a role player and a legacy for the Heat culture. And hey, he looks good in their new “Miami Vice” uniforms as well. But are all of these moves enough for the Cleveland Cavaliers to contend for the Larry O’Brien trophy? The Western Conference is as stacked as ever this season. The Golden State Warriors have been the biggest threat for the past five years. The Houston Rockets have their revamped roster under MVP frontrunner James Harden. The San Antonio Spurs can never be discounted with Greg Popovich at the helm. Even dark horses like the Portland Trail Blazers and Oklahoma City Thunder are perennial threats. The Eastern Conference, on the other hand, is up in arms. 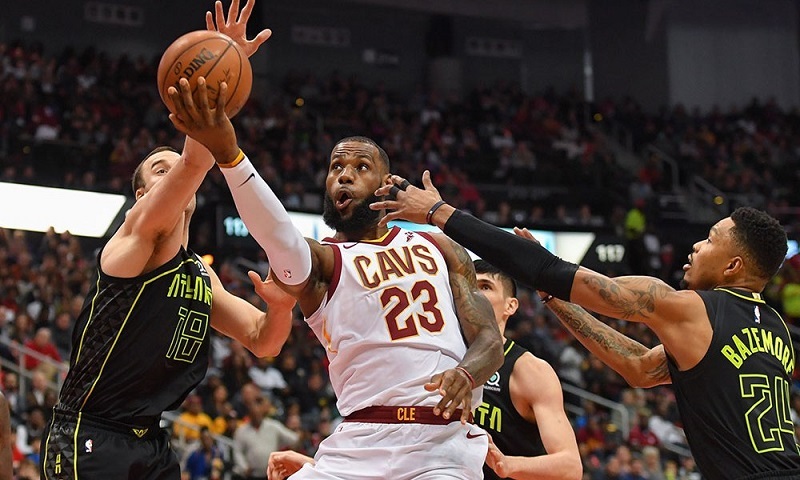 No matter how the new-look Cleveland Cavaliers play, LeBron James is dangerous in the playoffs. The Boston Celtics have a young, athletic roster with multiple all-stars led by former Cav Kyrie Irving. The Toronto Raptors have a roster capable of contending as well. It will likely all come down to chemistry. 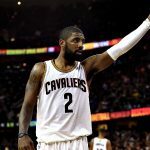 How quickly can this Cleveland Cavaliers team unify as a cohesive unit and string together some wins to gain confidence and turn their season around? More than likely it’s going to be a Houston Rockets/Golden State Warriors, Cleveland Cavaliers/Boston Celtics conference finals, respectively. Cleveland now matches up better with all three of those opponents with a bolstered perimeter and steadier offensive approach. However, I don’t believe the Cleveland Cavaliers will hoist the Larry O’Brien trophy at the end of this season. This is mainly because of the newness of their roster. Playoffs are won through chemistry and composure; two things the Cleveland Cavaliers lack this season. 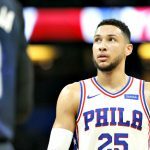 I predict it will be their demise and possibly even force LeBron James to consider other options during upcoming free agency. By Mason Kern, Host of “The Sports Watchdog” Radio Show on NBC Sports Radio AM 1060 Phoenix.